The Horizon Stagelighters, Theatre Alberta, The Arts Touring Alliance of Alberta, and Fringe Theatre Adventures are please to present Northern Sabbatical Productions/MAA & PAA Theatre's production of Never Let the Crew See You Cry by Linda Wood Edwards at Horizon Stage on Friday, February 13 at 7:30 p.m. This is the heart-warming story of 17-year-old Ethel Wood who lies about her age and leaves the family farm to chase her own dream of being a pilot. She finds friendship, and romance, along the way. 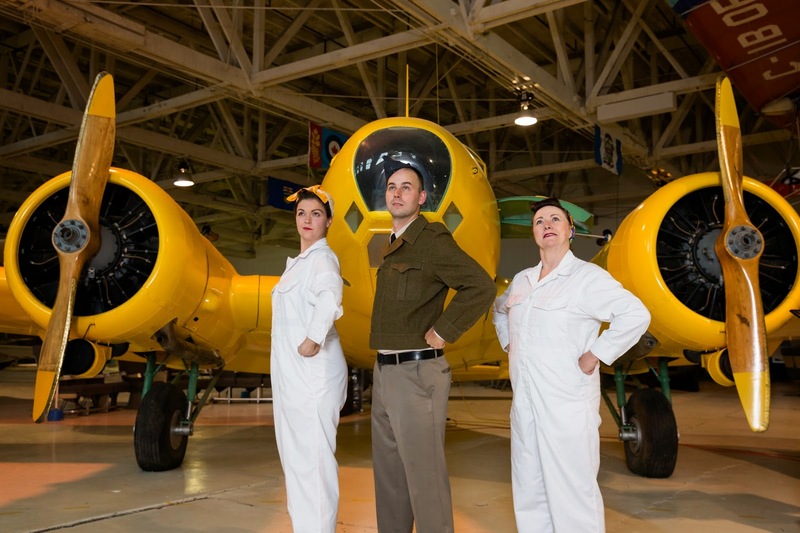 Rosie the Riveter has nothing on Ethel who becomes a flight line mechanic at Elementary Air Training School in De Winton, just south of Calgary. Ethel works on maintaining planes during the war and she helps to train nearly 2000 pilots - making an indelible impression on both the airmen and her fellow workers. 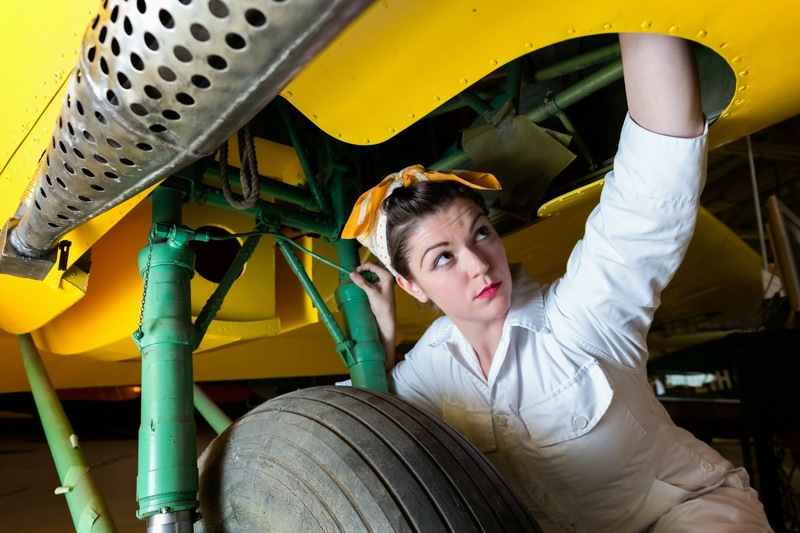 During World War II, many women left their homes to join the workforce to become mechanics all across Canada. Alberta's "Bomb Girls" were trailblazers, forging a new path for themselves, their daughters, and granddaughters. Never Let the Crew See You Cry is a hilarious, touching, and (almost) all true coming-of-age story that speaks to, and for, this entire generation of Canadian women. Playwright Linda Wood Edwards proudly brings her own mother’s story to the stage in this fast-paced, 70-minute production directed by David Cheros and starring Laura Raboud, Alex Mackie, and Judy McFerran. Presented first at the 2013 Edmonton Fringe Festival, Never Let the Crew See You Cry received rave reviews, and performed to packed houses. The show is now touring Alberta as part of Theatre Alberta’s ‘Picks of the Edmonton Fringe’ program. Enjoy an intimate evening of theatre, including a talk-back after the show with Never Let the Crew See You Cry’s author and cast, at Horizon Stage on February 13 at 7:30 p.m. Tickets are just $30 for adults and $25 for students and seniors and may be purchased at the City Hall Ticket Centre (315 Jespersen Ave) or by phone at 780-962-8995 or 1-888-655-9090. Tickets can also be purchased online by visiting horizonstage.com and clicking on the ‘Tickets’ link. This performance is proudly sponsored by Canadian Heritage, The Alberta Foundation for the Arts, The Arts Touring Alliance of Alberta, Theatre Alberta, Fringe Theatre Adventures, CKUA, Servus Credit Union, and Ticketpro.